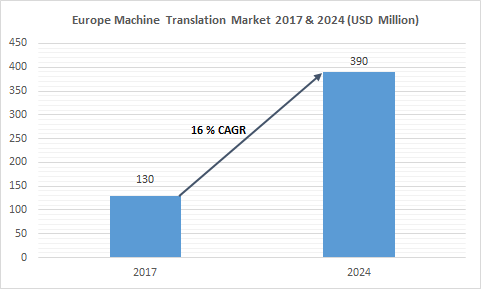 The Europe machine translation market is one of the major markets owing to a large number of companies adopting machine translation. European countries have been at the forefront investing in these systems for deploying sophisticated models that target numerous languages and high multi-lingual content. Europe has 24 official languages with several regional languages and machine translation systems have become integral to the European business for better decisions. The European machine translation market is further driven by the recent developments led by the EU projects, such as MOSES, that have made these systems more accessible to the small and medium enterprises. Recently, machine translation has been confined to large enterprises due to its high cost. Moreover, European countries including France, Germany, Italy, and the UK are among the top ten countries in Post-Edited Machine Translation (PEMT) technology catering to the demands of the businesses globally. According to a survey conducted by CSA research along with the CRACKER project, around 340 LSPs and more than 140 enterprise buyers of MT services found that 56% of PEMT providers were in Europe, 26% in North America, and 18% in the rest of the world. This is one of the major contributors of the European machine translation market. The active companies in the Europe machine translation market include Google, Inc., Microsoft Corporation, IBM Corporation, Moravia IT, and Systran International. The presence of major language service providers in Europe is expected to drive substantial growth among small and medium language companies. European companies, such as the Lucy Software and Systran International, offer their services to many global clients. 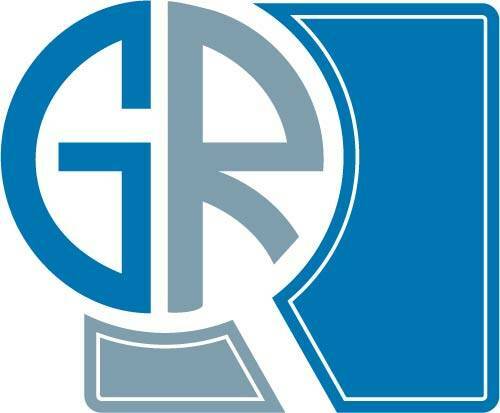 Moreover, the growth of the Europe machine translation market is rapidly expanding as a result of research and development.